Camping is great. It truly is. Yeah, there can be bugs, and you don’t have much space, and you run the risk of your beer not being ice cold. But forget all that, because it doesn’t have to be that way! Camping can be clean, simple and easy, and we’re going to show you exactly how. By reading on, you’re going to know what to take camping and how to avoid unnecessary ailments. 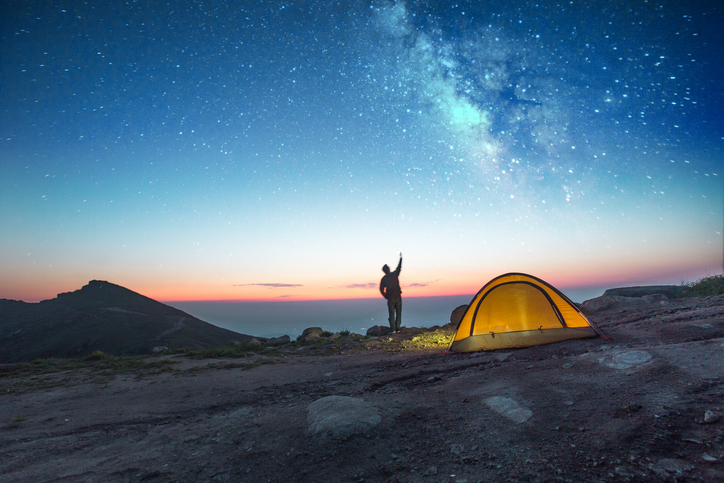 Follow these clear camping hacks and you’ll have an amazing trip, bug and worry free! Camping has somehow received this bad reputation of being uncomfortable, with everyone always mentioning the amount of insects. While insects are unavoidable in nature, these camping hacks can reduce the effect they have on you and ensure your maximum comfort. To repel mosquitos, campers have found great success with applying Johnson’s baby creamy oil to exposed skin, finding it to reduce the amount of bites and soothe existing ones. Mosquitos can especially be an issue when enjoying a campfire, as the light attracts them. Simply throw some fresh sage in the fire and enjoy the bug-free evening it provides! This one has even been tried and tested by members of the Goboony office. If you somehow still end up with any bug bites causing itchiness, then simply apply deodorant to the area to combat the itchiness. There has been a lot of information surfacing recently on ticks, and the dangers they can pose us. To repel ticks, mix up a solution of 1 part tea tree oil and 2 parts water into an empty spray bottle. Spray this on shoes, socks and pant cuffs, and anywhere else you think is vulnerable to the nasty critters! When camping, I can also go absolutely nuts at the ants getting everywhere! But this stopped being an issue once I found out that grits repel ants, so I just sprinkle some grits across the table and enjoy my ant-free, albeit a little bit messy, meal! Another method is to put a small tray of water under each table leg, which stops the ants being able to navigate and climb up to your meal. Nowadays companies like to advertise so many products and items for camping, which just end up taking space but barely being used. As a big fan of DIY, here are some ways for you to achieve the goal you need whilst using items found around the house or at a nearby store for cheap. The first of the camping tips is to always bring a bag of tortilla chips. Not only are these delicious, but they’re absolute wonders for starting a fire! And the rest can go into delicious nachos, yum! 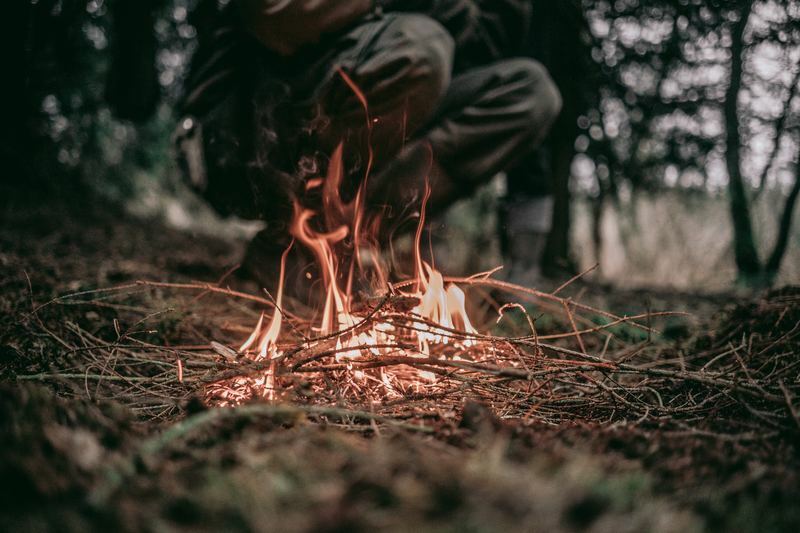 Another great portable fire starter (that won’t run a risk to your waistline) are cotton pads dipped in wax and dried, which can be easily stored and stay good for weeks! But these would be nothing without matches. It is super vital to keep your matches in plastic containers as opposed to their original matchboxes, as this will avoid them getting wet. And wet matches won’t get you anywhere! A reader recently gave me the great tip of glueing a square of sandpaper to your new container for matches, to ensure you always have a way to light them. Speaking of lights, given the lack of electricity often available when camping, you need to find new ways to see in the dark that doesn’t involve a dozen batteries a night! There are two safe ways to do this. Firstly, get a glass jar and paint the inside of it with non toxic glow-in-the-dark paint. This will shine in the darkness and work as a DIY lantern. Also a great activity to keep the kids busy. The second method is to purchase a battery operated voltive candle and then place it an empty peanut-butter jar (but cleaned, we just sorted our ant problem!). This will reflect the glow beautifully and ensure a cosy atmosphere in your tent, and the ability to find your knickers! Whilst campervans do hold more than your regular backpack, it still is limited space to be travelling with. But there are numerous camping hacks to help save space and ensure maximum capacity. For starters, when considering what to take camping, limit the amount of cutlery, plates and cups you bring. 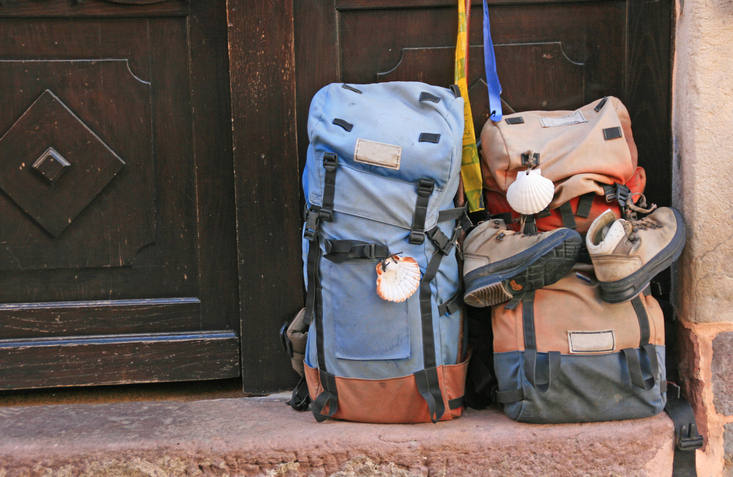 If there is only two of you travelling, you’re only going to use two at a time anyways! Also invest in a pair of compact unbreakable cups, as these take up less space when packing and will last you for many years of camping. Always bring tinfoil with you, as it works absolute wonders! You can cook anything in a fire just using tinfoil. Potato? Sprinkle some cheese and spices and wrap it in tin foil, baked potato! Banana? Slice it lengthways and fill it with some chocolate and marshmallows and wrap it in tinfoil, banana boat! For more cooking ideas, read our camping food blog. To further save kitchen space, use empty tic tac boxes to store your spices. Get a fresh minty mouth whilst being able to bring a variety of different spices or herbs. Your meals will never, and should never, be dull. A fun little trick that really makes a difference in space, is to remove the cardboard centre from your toilet paper, and then flatten it and pop it in a plastic bag. This not only allows you to bring about three rolls in the space one would take up, but protects it and keeps it fresh. No one wants to wipe with soggy toilet paper! In terms of purchasing prior to your trips, we strongly advise investing in some compact, microfiber towels. They’re not too pricey, but will make a world of difference during your trip. Available in a variety of pleasing colours, these towels are great for cleaning and drying anything, and their material ensures they dry quickly. They can be packed very small to ensure they take up minimum space. New to the camping scene are two person sleeping bags, which takes up far less space than two individual sleeping bags when rolled up and is super cosy! Another excuse to cuddle up with your loved one? Count me in! 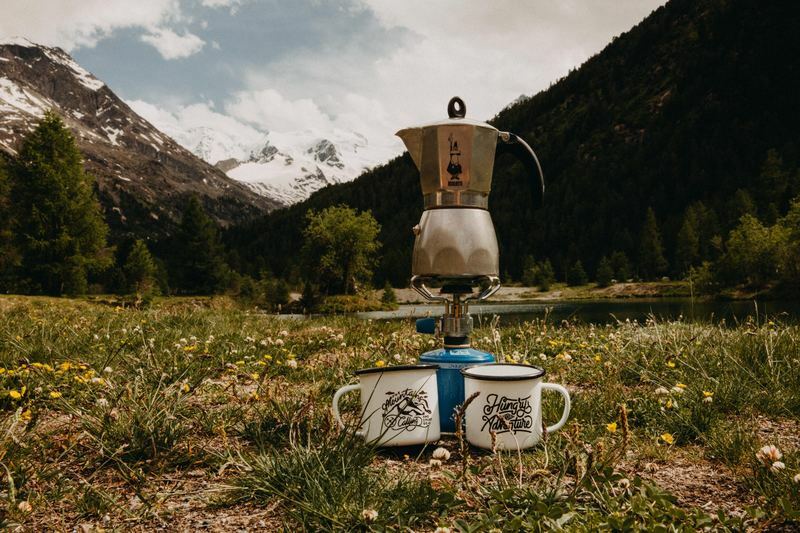 But camping tips should not be only focused on utility and practicality, they should also afford you certain luxurious lifestyle choices whilst camping. Most of us are guilty of enjoying a nice drink every now and then, and this shouldn’t have to change just because you’re camping. Instead, combine it with the camping for some fun new possibilities! Sangria is a beach holiday favourite, so why can’t it be a camping holiday favourite too? Here is a great recipe for camping sangria, which is easy to make and transport. And probably even easier to drink! If you would like a cheeky twist on traditional roasted marshmallows, after roasting them on the campfire, dip them in baileys. Delicious! Also consider making a baileys hot chocolate and popping the marshmallows on top. To achieve the ultimate zen, bring a hammock along for your camping trip. It is definitely worth the space it will take up, and I’m sure you’ll agree once you’re chilling in it with a lovely compact cup of sangria! If you’re on a weekend trip and yearning for that cold beer, then pack a block of ice instead of cubes. It melts far slower so ensure more cold beer time. Don’t empty the water once it’s melted, as this will continue to keep the drinks cold for longer. Now that you know what to take camping to ensure your camping trip is a great one, what are you waiting for? 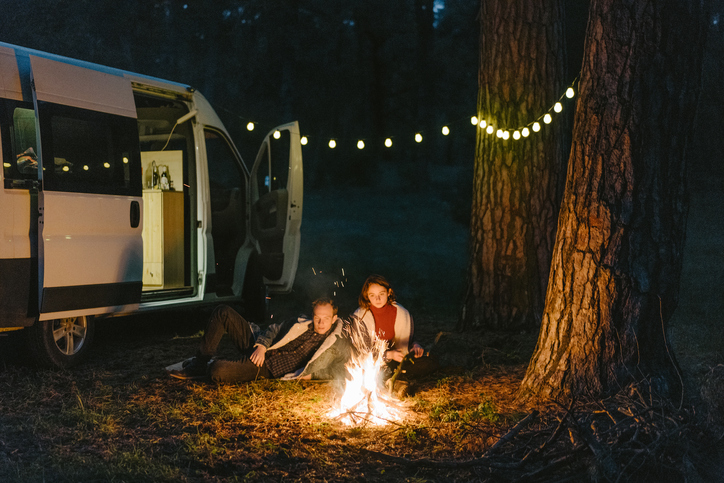 Find a campervan that suits you, choose a location and bon voyage!